February was another mixed month for our loanees, with some only getting limited minutes and others played in every one of their loan clubs matches. February's highlights include one of our loanees winning the African Cup of Nations and another having his move made permanent in the summer. Our Argentine defender enjoyed another successful month in the Italian capital, playing in six matches, five of which were starts. Fazio's Roma enjoyed five wins and suffered just one defeat during February, maintaining their grip on second place in Serie A, as well as advancing to the last sixteen of the Europa League. Fazio registered one goal and received one booking during his six matches, and was part of a defence which kept three clean sheets. Bentaleb played every minute of all but one of Schalke's games during February, his most influential performance coming in the 2-0 home win over Hertha Berlin, where he set up both of his sides goals, though he was also booked. The month included a very impressive draw away at Bayern Munich, as well as progress in both the DFB Pokal and the Europa League. A few days after Schalke drew 1-1 at Köln, it was announced that Bentaleb's loan will become a permanent transfer at the end of the season. Clinton did not see much action during February due to injury, though he did score on his comeback against Rennes. Our Cameroon international also started his sides following match, which they lost 1-5 against PSG. Clinton also picked up a winners medal from the African Cup of Nations at the start of the month, though he did not feature for Cameroon in the final against Egypt. February was a frustrating month for Will Miller. He made only two substitute appearances for The Brewers, playing a total of eighteen minutes, with both of his games ending in defeat against Fulham and Brighton respectively. Miller was an unused substitute on four other occasions. A very busy month for our young goalkeeper, Luke McGhee started all of Peterborough's seven games last month, keeping one clean sheet. The Posh enjoyed enjoyed three wins, but also suffered four defeats, one of which was against Luke Amos' Southend United. Another one of our youngsters who only experienced limited minutes last month. Loft made three substitute appearances for Stevenage, playing a total of sixteen minutes. He was an unused substitute on two further occasions . On the plus side, all of the games Loft played in ended in victory. Although he scored no goals, Loft did pick up one booking. 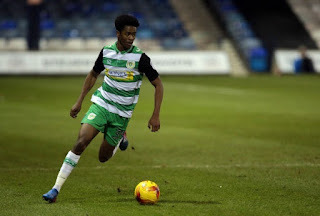 Shayon Harrison made a total of four appearances for Yeovil during February, including two starts, but he failed to find the back of the net. Yeovil drew three and lost one of the matches Shayon was involved in. He was an unused substitute on two occasions. Playing in all six of Stevenage's matches during February, Conor Ogilvie enjoyed a very successful month, with his side winning all but one of their games, keeping one clean sheet in the process. 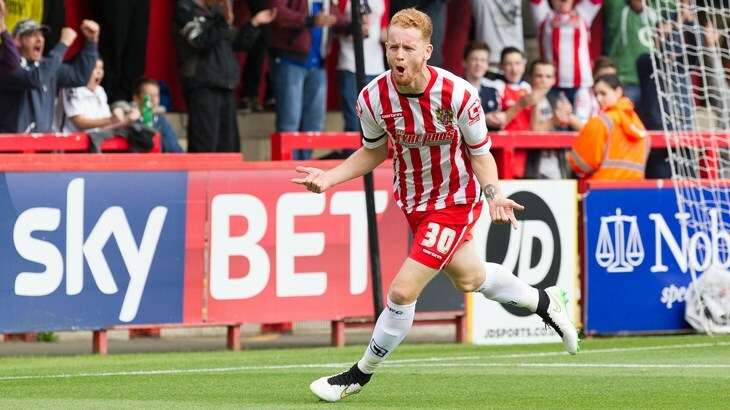 Establishing himself as Stevenage's first choice left back, it would not surprise me if his loan was made permanent in the summer. With his club still in pre-season - the MLS kicks off this weekend - Anton Walkes was involved in two of his sides four friendlies last month. Anton played the second half of what was Atlanta's first ever fixture, a 4-0 victory over Chattanooga, and made his first start for the club in their 2-1 victory over Charleston Battery. Walkes was an unused substitute in his sides two other friendlies. Luke Amos is still waiting to make his Southend debut, having been an unused substitute on six occasions during February.